UAE Car Enthusiasts Check Out the 2017 Nissan GT-R! Every now and then, auto companies surprise us with a car that seems to have it all. One such machine is the 2017 Nissan GT-R which is not only stylish but also delivers on performance and comfort. It’s a force to be reckoned with in the world of supercars and is bound to become popular among used cars for sale in the UAE soon. Want to get a better picture of the upgrades to the latest model? Let’s find out! A Super Facelift: The new 2017 Nissan GT-R has earned itself a facelift making it not only aesthetically pleasing but also more sporty looking. The changes are not all about the looks though. They also improve high-speed stability all the while maintaining a steady drag coefficient thanks to restyled front-bumpers. A higher beltline grants it a bolder rear look and the new side skirts and revised C-pillars ensure a smooth, turbulence-free ride. Nicknamed the ‘Godzilla’, it sure is one heck of a machine and a head-turner to boot! Don’t take it out for drifting just yet. Not unless you have modified it like this Nissan GT-R that set a drifting world record at 189 mph. 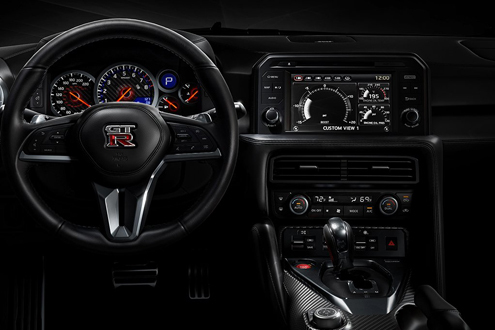 Alluring Interior Modifications: A revamped interior turns the comfort level up a notch inside the 2017 Nissan GT-R. Both the dashboard and instrument panel have been upgraded. The exquisite attention to detail is captivating whether it’s the single Nappa leather hide covering the dashboard, the leather appointments on the center console, shift lever and door panels or the new lightweight front seats. An ergonomic interior design featuring a better control interface with fewer switches and a larger touchscreen lets you enjoy the drive further. Impressive Performance Upgrade: When it comes to performance, this Nissan model ranks right up there with the likes of Porsche 911 and Audi R8 Coupe. Each Nissan GT-R engine is hand-assembled and the figures they deliver are spectacular, to say the least. The 4L, V6 twin-turbocharged engine pumps out a horsepower of 542 and 628 Nm of torque. A revised dual-clutch transmission ensures smoother shifting. 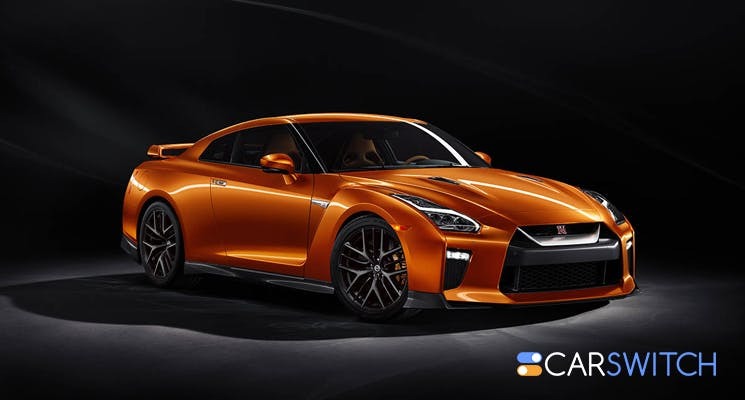 Did the Nissan GT-R inspire you to check out used Nissan cars for sale in the UAE? Or perhaps you might prefer similar used supercars for sale in Dubai, UAE. Take your pick! Should You Buy a 2017 Kia Sportage Car in the UAE? The KIA Sportage is one of the bestselling South Korean cars and very popular among used. Why Buying a Nissan Altima Car Is a Smart Decision in the UAE? The Altima is Nissan’s top-selling car in the mid-size sedan segment. It hit the roads in.